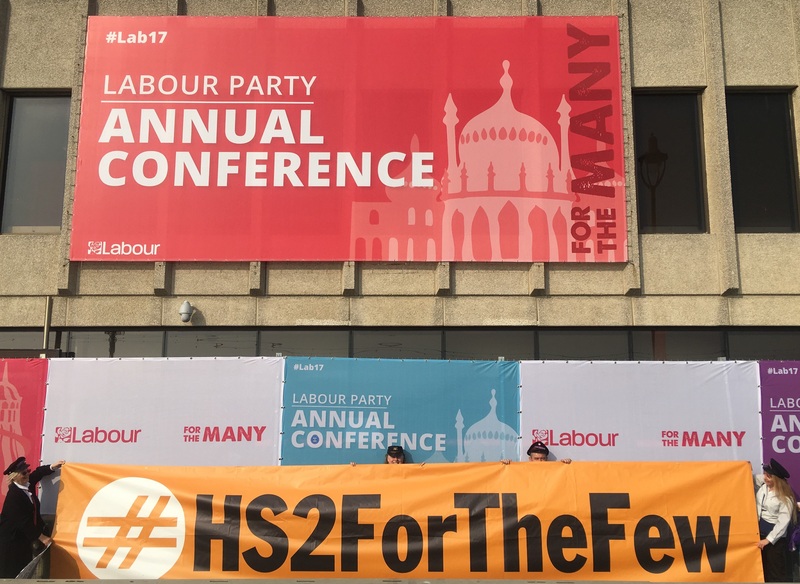 Today, Stop HS2 campaigners have rebranded the Labour Conference, as a new petition against the project has started trending on the government e-petitions website. 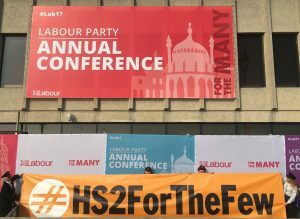 Campaigners, dressed as ticket inspectors rebranded the Labour slogan ‘For the many not the few’ as ‘#HS2ForTheFew’, with a large banner across the front of the conference building. Campaigners have also been giving out replicated rail tickets which have been edited to reflect the costs and consequences of HS2, with the class bracket stating “privileged few”, the route labelled “one way to disaster”, the ticket type referred to as “super excess vanity project” and the method of payment “increased cuts to essential services”. This is at the same time as a new petition, launched on 21st September which calls for the cancelation of HS2 and the repeal of the High Speed Rail Acts, which is on course to reach the 10,000 signatures needed to get a Government response in just one week. 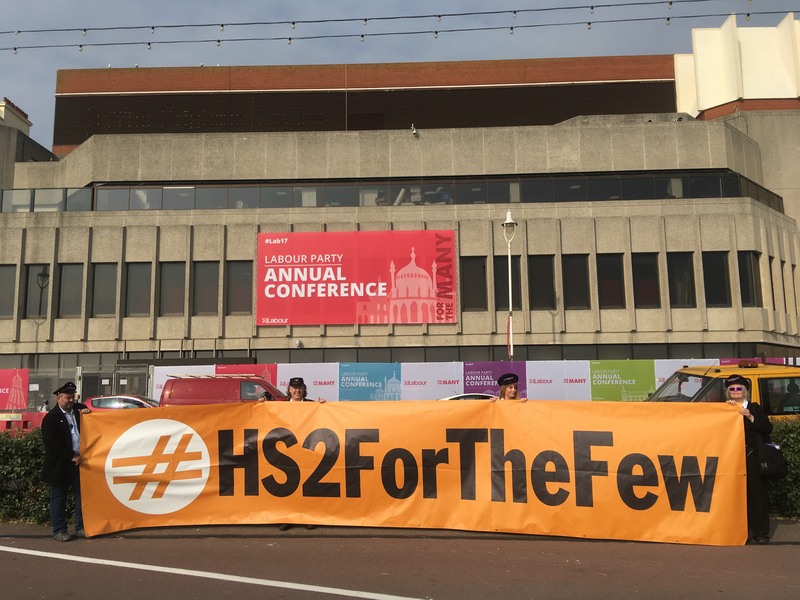 The petition laments the fact that independent analysis of the case for HS2 has been ignored, the rising costs and hollow justifications, along with the fact it is being pushed at a time of continued austerity and cuts to essential services. Excellent achievement getting to 10,000 just now even though people must be exhausted by years of fighting hs2.